Russian president Dmitry Medvedev followed the president of Georgia, Mikheil Saakashvili and signed the ceasefire agreement on Saturday. The peace plan document was originally drafted by Nicolas Sarkozy, the President of France. 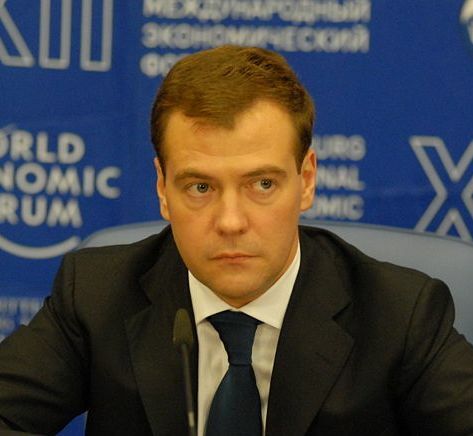 Medvedev announced having signed the document during a meeting of the Russian Security Council. Initially Medvedev said that he had ordered Russian troops to begin leaving Georgia on August 11. However, the Russian foreign minister Sergei Lavrov refused to put a timetable on the withdrawal of Russian forces from deep inside Georgia and stated that their departure depended on extra security measures being put in place. Lavrov also said Russia would strengthen its contingent in South Ossetia. In a letter to Saakashvili, Nicolas Sarkozy confirmed that according to the signed peace plan, Russian forces are obliged to withdraw from all major Georgian towns regardless of the “additional security measures” mentioned in the document. According to Sarkozy, these additional measures refer to the border area only. At the same time Georgian internal affairs ministry reported that Russian forces changed the administrative borders of Abkhazia, and captured one of the Georgian power plants in the area. It is also reported that Russian forces destroyed the strategic Georgian rail bridge in Kaspi.